Find out about four of the most iconic ships in sailing history. When a lot of people think about ships they instantly associate them with the luxury cruise liners. But when you think about it in more detail, you’ll find that he sea is shrouded in mystery, and different ships that have been present throughout history have been the basis for future design. It can be easy to forget that before we were trying to land man on the moon that our main goals was trying to discover what lay over horizon. One group of people believed the world was flat, whilst other contested this fact for the sake of adventure. Finally discovering that travelling by sea was one of the most efficient ways of transport was a game changer. It allowed goods to be transported from all corners of the world, and it’s what allowed the first generation of immigrants to see if the grass was greener in a different country. With shipping becoming such a popular form of transport some of the most amazing ships were then created and etched into history. Some are of the most incredible build and quality, whereas others have a mystery behind them that is still unanswered to this day. So sit back, grab a drink and check out the following famous ships, you may just be awestruck with what you discover. The Mary Celeste was a British merchant ship that first built in 1861. It was one of the very first large vessels whose primary purpose was transporting a wide variety of items in a single journey. This isn’t the reason why it’s world famous though. On the 5th of November 1872, the Mary Celeste departed with a full crew and with a cargo bay filled with 1,701 barrels of alcohol. The alcohol was meant for the use of fortifying Italian wines, making it worth $35,000 (or £20,550.88). The cast off went to plan, and everything was thought to be ordinary. A few months later in December a ship was spotted by another ship called the Dei Gratia. The captain instantly knew something was wrong with the ship as it didn’t look right. It wasn’t leaning in a way that normal ships would, and the sail was torn. Under closer inspection the ship had no crew on deck, but there was no distress signal on show. The whole ship was a thoroughly wet mess. He could only find one operational water pump, and there was a lot of water between the decks. Apparently there was almost half a feet of water stuck in the hold. Even though it had excess water, it was still seaworthy. Every single piece of ship paper was missing, all except for the captains log book. The forehatch was open but the main hatch was fully sealed. The compass for the ship was destroyed and vital boat equipment items were missing. Two of the most extraordinary things were discovered as well. A thick piece of rope was tied to the ship where it shouldn’t have been, and one part of it was incredibly frayed and dragging along in the water. The second extraordinary thing was to do with the cargo. The 1,701 barrels of alcohol were all accounted for, and in good quality. What’s bizarre about it all is that when the alcohol was unloaded, nine of the barrels were completely empty. Six months worth of fresh food and water was found, and all of the crews personal possessions hadn’t even been touched, taking piracy out of the potential causes. Numerous opinions have been created about what happened to the Mary Celeste, ranging from alcohol fumes to mutiny. Nothing has been agreed on, meaning that the events that happened on the Mary Celeste will always be a mystery. 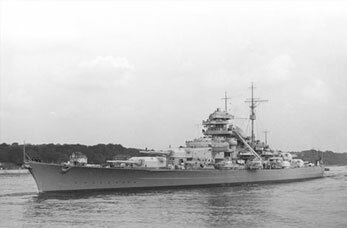 One of the most notable vessels of World War 2 was the German dreadnought called the Bismarck. It first sailed in May, 1941 with the aim of destroying British ships. It quickly became the leader in one of the world largest naval hunts, with Britain being in the gun sights. This vessel was one of the most devastating ships that have ever been created, sinking many a ship. There were over 2,000 crew members on it, and there were numerous turrets created for both anti air and vessel warfare. After the Bismarck had taken apart many of the allies vessels, enough was enough. The ship was subjected to numerous bombing attempts by air. It was then engaged by two British battle cruisers, the HMS Hood and the HMS Prince of Wales. The battle was short but vicious, and the Hood blew up and sank, leaving only 3 of a 1,418 man crew alive. The Prince of Wales managed to escape and set off back home. The Bismarck got further damage from a barrage of aerial torpedoes and attempted to retreat to France for repairs. This was only to be caught out by a pair of British battleships called the King George V and the Rodney. Their combined firepower managed to destroy the battered warship, but only after a two hour barrage. Only 200 out of the 2,200 man crew survived. The warship remained undisturbed for a number of years until it was located by Robert Ballard in 1989, the man who discovered the Titanic three year prior. Even though the ship had received a lot of damage, the majority of it was intact. The ship was scuttled, meaning that Britain never got the revenge they deserved. Even though the ship had been sank, the German command base continued to issue orders for many hours. They didn’t realise that it had sunk until it news had been released at the Houses of Parliament. The survivors of the Bismarck numbered to 111. One died later because if his wounds, but the rest spent the rest of the war as prisoners. One of the biggest developments of the 18th century was the ironclad warships. These ships were the first that had been created for the primary sake of battle and protection rather than the transportation of goods. 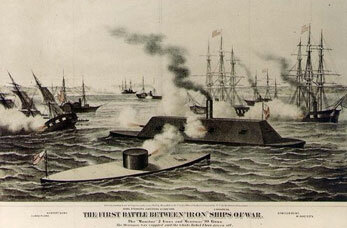 Two of the most notable types of ironclad vessels is the U.S.S Monitor and the C.S.S Virginia. The actual battle was a result of the Confederacy attempting to break the Union’s blockade. This blockade had cut off two of the largest cities in Virginia, meaning that they didn’t have access to essential international trade. One of the most interesting things about this battle is the fact that the two vessels were equally matched. The battle went on for hour after hour, and the final result was a stalemate. It was the turning point in naval battles, seeing as it was the very first time that two ships were mostly made of iron rather than wood. The monitor is most noted for its revolutionary rotating gun turret which changed how vessels are built all the way through to modern day. With the two ships being made primarily out of iron, as they shot at each they weren’t doing any severe damage to each other. They spend considerable time trying to lure each other into waters which wouldn’t have been favourable for the other. In the end they both gave up and sailed elsewhere. Unfortunately, both vessels didn’t live to see the end of the year. The Virginia attempted to pass up a river, and got stuck. They could only be captured or sunk by the Union, so the decision was made to sink it. It was set on fire and burnt for the majority of the day, eventually exploding. 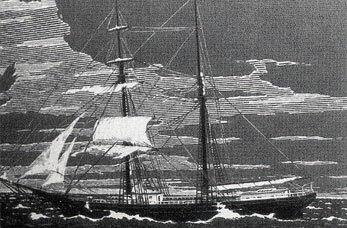 The Monitor set sail to North Carolina to take part in a blockade, but as she was being towed the wind increased, resulting in large waves. As the Monitor had no high sides the vessel took on a large amount of water which affected the pump. The crew abandoned ship and the majority were rescued by a nearby ship, the USS Rhode Island, but 16 couldn’t escape and went down with the ship. The SS Baychimo was launched back in 1914 and had a large contribution to trading routes during World War One. After the war had come to a close, the Baychimo became a transport ship, going to different trading posts and collecting various pelts. It was the events that occurred during the 1st October 1931 that make this one of the worlds most famous ships. The Baychimo was at the end of a trading run and it had a full load of fur. Unfortunately, the ship go stuck in an ice pack. 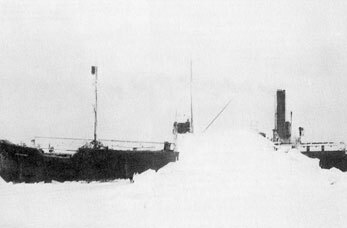 The crew only abandoned ship for a small period of time, making a journey of half a mile of pure ice to a town named Barrow. They stayed there for two days for shelter, and when they returned they discovered the ship had broke free. Eventually the ship got stuck again on October 8th, and much deeper than the previous time. An aircraft was sent to retrieve the crew that had stayed in the town, but 15 stayed behind. They intended on waiting out winter to sail the ship away, and even built a wood shelter so they could keep an eye on it. November 24th one of the most powerful blizzards that had ever been seen struck. After it had finished the crew went to take a look, but the vessel was missing yet again. The captain declared that it must have broken off during the storm and sank. He was shocked to find out a couple of days later that a Inuit seal hunter explained that he had seen the ship sailing about 45 miles away. The crew managed to track the ship down and got access to the hold. They removed only some of the most valuable furs and got transported home by air. The Baychimo was simply abandoned with the belief that it wouldn’t survive winter. The vessel was designed better than the crew realised, and the Baychimo didn’t sink. Over the next few decades there were numerous sightings of this ship. A good few of these people managed to get on board with the intention of salvaging her, but were either unequipped for such a task or had to leave because of bad weather. This went on for a good few years until she was spotted by a group of Inuit in 1969, a good 38 years after she was originally abandoned. The Baychimo was spotted stuck in a large pack of ice situated between Point Barrow and Icy Cake. Thi is part of the Beaufort Sea in the Alaskan coast. To this day, nobody is sure where the ship is. It’s expected that it has finally sunk, but the way the ship continued to sail year after year without the need of a crew, it wouldn’t surprise me if someone was to spot it again. The sea is truly one of the most fascinating things you could ever cast your mind over. It covers earth and has held some of the most interesting and mysterious vessels. Thankfully, modern ships have been built to a superior quality, which is why there aren’t any missing ships anymore. To set sail is one of the most adventurous things you can do, so it’s definitely worth going a cruise to see the beauty this world has.